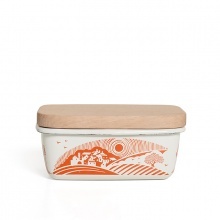 London based design duo, Keith Stephenson and Mark Hampshire, launched interiors brand Mini Moderns in 2006. 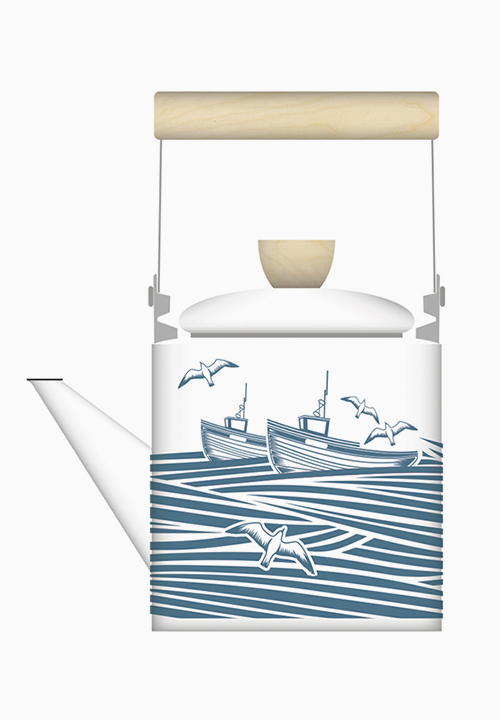 Their playful designs have a hint of nostalgia influenced by childhood memories, vintage toys, books and mid-century British textiles. 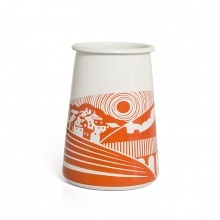 Specialising in applied pattern, Mini Moderns design motto is ‘pattern with a story’. 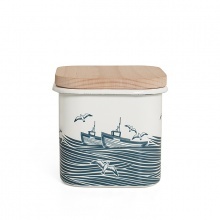 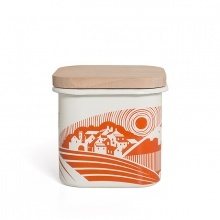 Mini Moderns kitchenware is a contemporary range with a retro aesthetic. 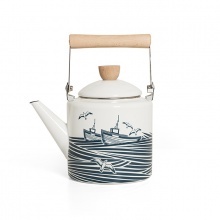 The cook and dine accessories are made from durable vitreous enamelware and are available in two striking designs – Whitby and Moordale. 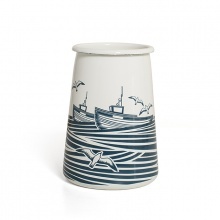 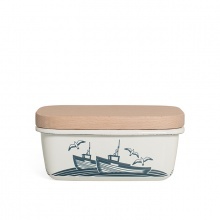 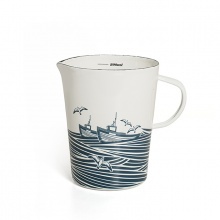 Whitby features coastal scenes of large boats flanked by seagulls in a boisterous blue sea. 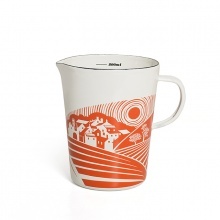 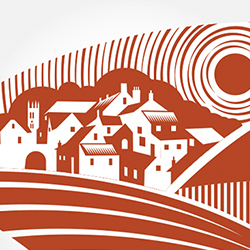 Moordale is inspired by the beautiful countryside of the Yorkshire Moors and Dales, where Keith and Mark both grew up. 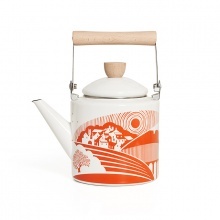 Mini Moderns kitchen collection captures a quintessentially British sentiment.